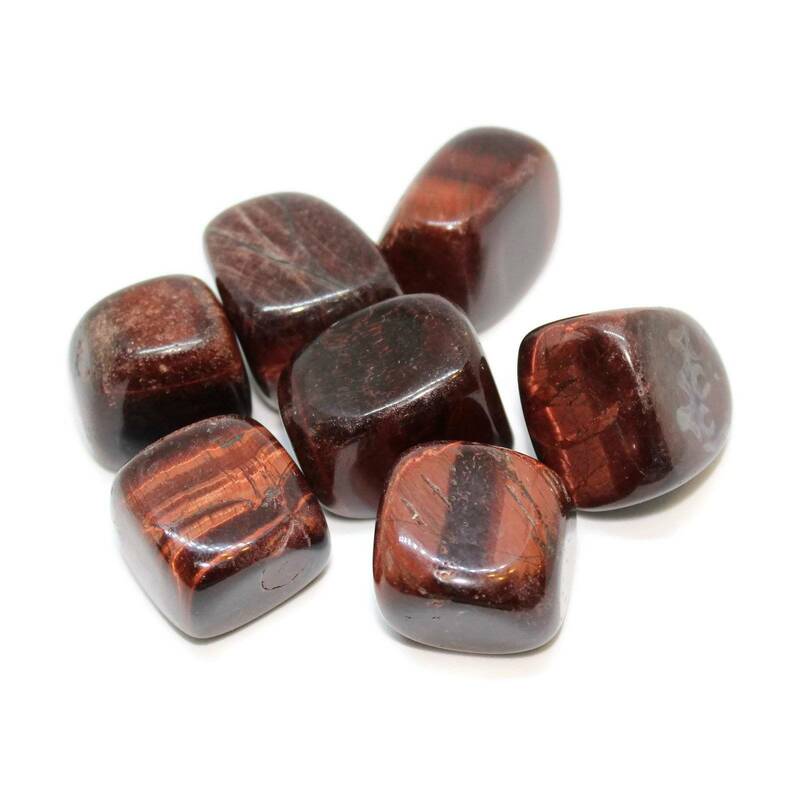 Tumbled red Tigers Eye pieces, measuring 20-30MM approximately. Red Tigers Eye tumblestones, measuring 20-30MM approximately. These are pretty tumblestones, and make a decent decorative object, whether you’re storing them in a large dish or a vase. We cannot recommend using Tigers Eye in fish tanks or aquariums etc due to its Iron content. For information about the Tigers Eye gemstone, or a list of our Tigers Eye products, including Gold and Blue coloured Tigers Eye tumblestones, please check out our Tigers Eye page.